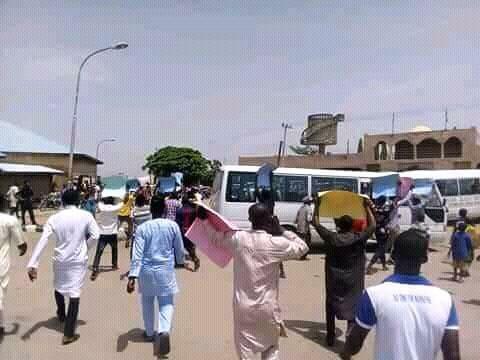 Senate President Bukola Saraki was today stoned and chased out of Lafiaji town by youths that are opposed to his visit to their community, over the Senate President's attempt to shield Senator Lafiaji from prosecution and prevent justice in the murder of 3 Lafiaji youths. 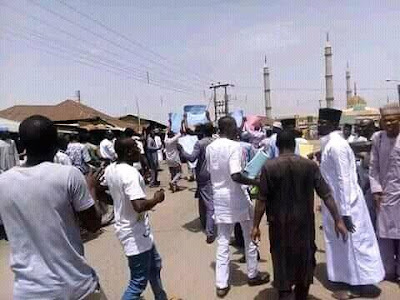 Recall that on 17th November 2017, 3 youths of Lafiaji town were shot dead by soldiers attached to Mr. Shaaba Lafiaji, a senator representing Kwara North senatorial district, while many others were equally injured. The unfortunate incident led to burning a building belonging to Senator Lafiaji. The Senate President visited Lafiaji today to meet with the traditional ruler and other leaders of the community. However, after meeting with the royal father, Senator Bukola Saraki informed the emir that he would be visiting families of the victims in that cruel incident, a development that sparks anger among the youths. Recall that on December 10th 2017, Kwara Must Change had raised alarm about how Saraki has been using his office to prevent the arrest and prosecution of those responsible for the killing of the three youths. We also learn that, the Senate President attempt to score cheap political point with his visit to the community was what made the youths to flare up in protest and before long, stones were flying everywhere, forcing Mr Saraki to escape out of the town. 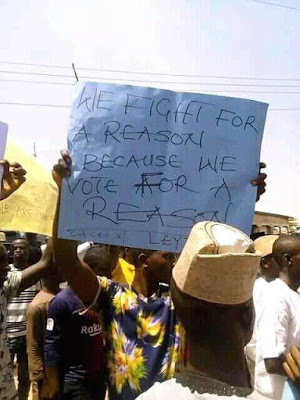 It is important to recall that, Kwara Must Change had on 27 November 2017 submitted several petitions to all appropriate agencies, including National Human Rights Commission, Nigerian Police, Office of Attorney General of the federation among others, seeking the prosecution of Senator Lafiaji and obtaining compensation for the victims family. However, almost 4 months later, Senator Lafiaji, who is the main culprit is yet to be arrested or prosecuted. Kwara Must Change therefore urge all concerned agencies to immediately take action to ensure justice for the murdered youths and provide adequate compensation to all their families. 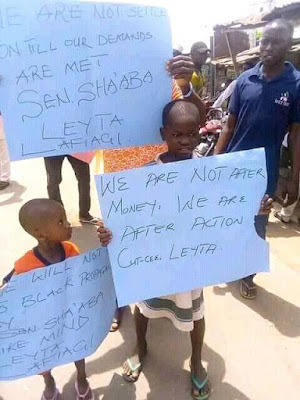 The two senators and ex-governors should know they are at the end of their roads.